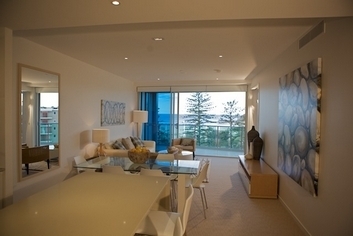 Nirvana by the Sea at Kirra Beach presents the pure luxury of beachfront living. The sophisticated apartments offer expansive breathtaking views over the remarkable blue Pacific Ocean horizon and a daily kaleidoscope of colourful sunsets. Nirvana by the Sea caters for your every need. 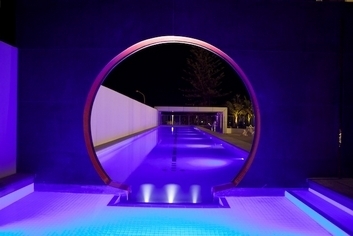 Our features include a heated lap pool and a state of the art gymnasium along with spa and sauna facilities. There is an executive lounge, private cinema and a sculpted Zen garden which comes complete with a covered Teppanyaki BBQ area. Kirra is well known for its extensive stretches of white sandy beach accompanied by a mountain backdrop. 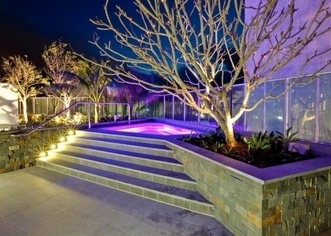 A rare north facing beach, Kirra is surrounded by attractive ocean front parklands and an inviting beachfront boardwalk. It is one of the few locations on the Gold Coast where the original coast lifestyle remains intact where you can still experience the simple pleasures of life...quiet beaches, perfect surfing, endless summers and long morning walks on a seemingly infinite shoreline. Overlooking the beachfront precinct, the retail area consists of boutique outlets, restaurants and coffee shops. Enjoy the countless delights at one of Kirras lively al fresco restaurants or the historic Kirra SLSC which offers beachfront dining and something for all tastes. Further south, the diversity of the Tweed coast will astound you. World class sporting facilities, extensive marinas and waterways, golf courses, the breathtaking landscape of the Hinterland and the high life of Broadbeach and Surfers Paradise are just a short drive away. Luxury one bedroom apartment with full ocean views. 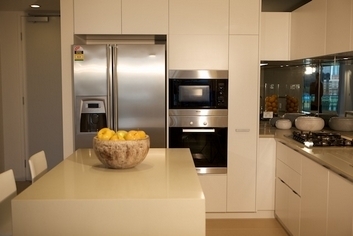 Spacious and modern with stylish decor and fittings. Features include a study, two bathrooms, a designer kitchen and plasma TV. 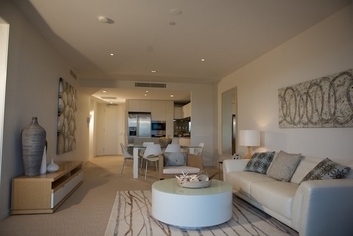 Luxury two bedroom apartment on podium level with ocean views. Spacious and modern with stylish decor and fittings. Features include two bathrooms, a private pool on the balcony, a designer kitchen and plasma TV. 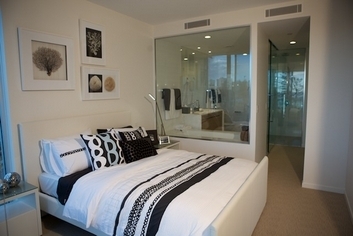 Luxury two bedroom apartment with full ocean views. Spacious and modern with stylish decor and fittings. Features include two bathrooms, a designer kitchen and plasma TV. 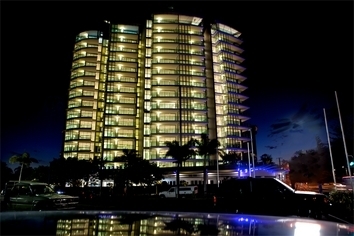 Luxury 2 bedroom, 2 bathroom fully self contained apartment. Located on the 15th floor with amazing views from the balcony, living area and bedrooms. Exclusive rooftop area including plunge pool and BBQ, with spectacular views of Kirra Beach, Surfers Paradise, Hinterland and Tweed area. 5 Star quality resort facilities. Your ultimate hideaway in your own part of Paradise. Luxury three bedroom beach home with full ocean views. Spacious and modern with stylish decor and fittings. Features include 3.5 bathrooms, two balconies, one with a private pool, a designer kitchen and plasma TV. 3 bedroom, 3 bathrooms & powder room, expansive living area with media & TV/4th bedroom option. Extensive views, including all bedrooms with views. Check in time is from 2 pm. Our reception is open from 8.30am to 5.00pm Monday to Saturday and 8.30am to 2.00pm on Sundays. If arriving outside office hours please contact us to arrange key collection and registration. Complimentary secure underground parking for all guests is available, plus visitor parking. From Gold Coast Airport turn right onto the Gold Coast Highway then take the first exit. Keep right at the fork and then turn left into Musgrave Street. Go through one roundabout and Douglas Street is the fourth street on the right. 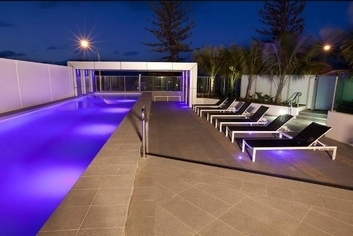 Nirvana By The Sea is close to the world famous surf and swimming beaches of Kirra, Duranbah, Snapper Rocks and Greenmount. A short drive to the Tweed Valley, Tweed River and Hinterland provides beautiful day trips. 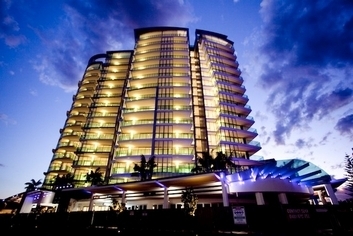 The excitement of the theme parks, Surfers Paradise & Broadbeach are all within 30 minutes drive. Throughout the Tweed and Coolangatta regions, there is a diverse range of activities, fine dining and shopping to suit all tastes and budgets, which combine to offer the visitor a truly unforgettable experience.